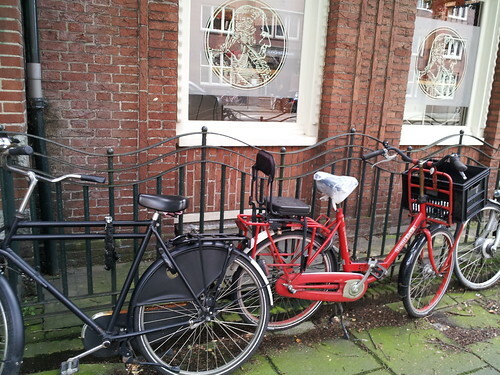 I am so envious of you being in Amsterdam. My advice, stay away from the muzzy ghettos. You can't miss them - each apartment has about 6 satellite dishes. Red Light District or Canals? Please go to a movie and have a glass of beer. I don't mean no paper cup, I mean a glass of beer. I think we're on our way with the cycling. Bicycles are everywhere in the old city of Toronto as well, though not yet on the same scale. Though they might cause problems, reactionary conservatives won't stop the rise of cycling in Toronto. 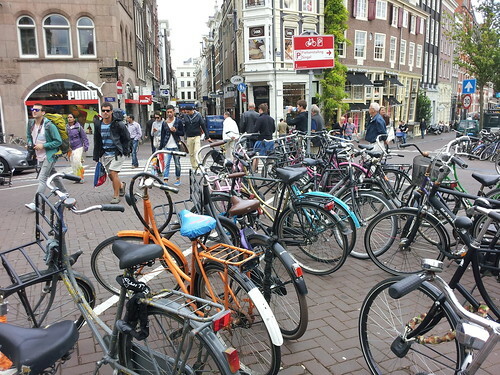 What's amazing here in Amsterdam is how diverse the bike riding populous is. 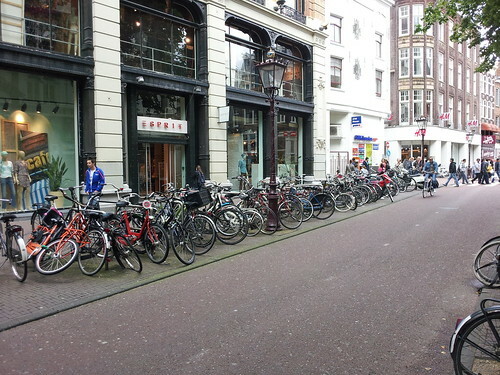 I see men in 3-piece suits biking, women in business wear, elderly folks, kids... everyone is biking everywhere. There are a lot of scooters, too. I'm less excited about this, because they ride on the bike lanes like bicycles instead of on the streets like cars. 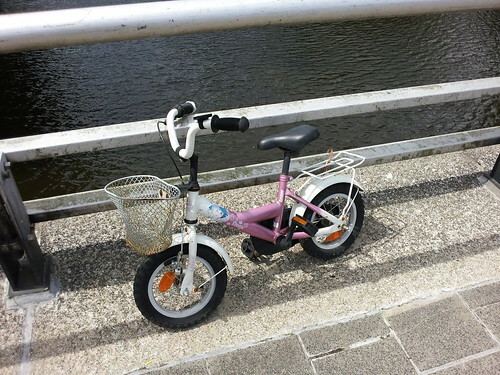 You have to be careful with them scooting around, especially if you're on a bike. 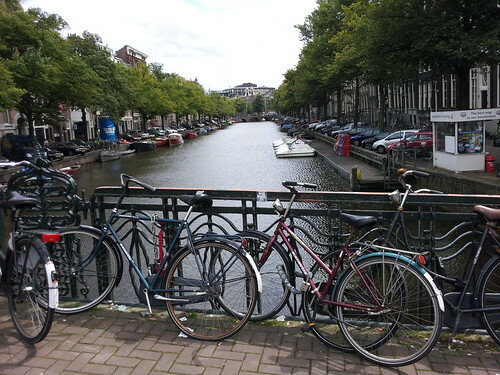 And I'm guessing Amsterdam doesn't have Toronto's bike theft problem... lots and lots of bikes are completely unlocked in a "take a bike, leave a bike" policy. I was in Montreal last summer and felt they had one upped us with the bikes... then I saw what Berlin had done and now I see this. I can't imagine there's anywhere to go from here. 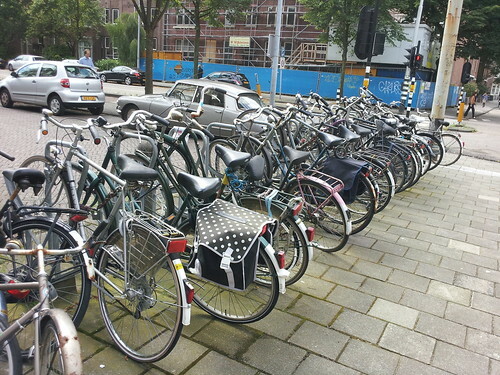 Amsterdam is the cycling benchmark, but one sees the same kind of diversity in Toronto among cyclists.